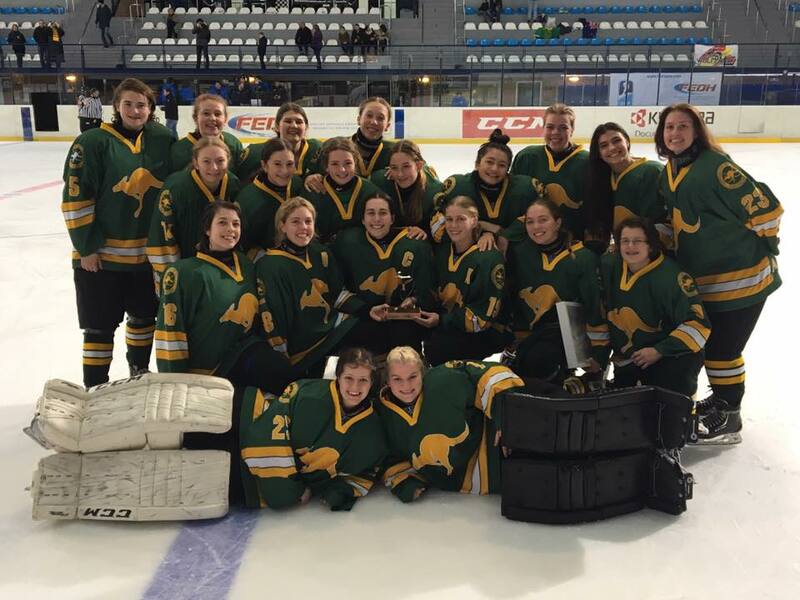 After holding their own last year in the Qualification Tournament in Austria the girls have followed up a solid effort with a gold medal performance in the Division Group B Qualification. The girls headed to Spain to take on Spain, Mexico and Romania. Romania the only familiar foe from last year’s qualification in which the Australian team narrowly defeated them 7-6. For those who don’t know, last year’s team was the first ever Australian Under 18 Womens team. Their efforts in the 8 team qualifier earned them a start in Division 1 Group B. The girls showed however, they were determined for much more starting with a 3-1 victory of the host Spain. Spain opened their account early in the first before Lindsey Kiliwnik responded five mintues later evening the scores to 1-1. In the second period Spain were not warming to the Aussies come back as they were dealt two conecutive penalties. Cleo Mayer converting on the second powerplay to push Australia ahead. Kiliwnik added a second goal to her international career giving her team a two goal cushion. Spain found themselves in penalty trouble early in the third but the girls couldn’t seem to convert ending the game with a solid 3-1 victory. After the Spain victory the team took their confidence into Mexico. Trading penalties in the first Natalie Ayris got the green and gold on the board to close out the first. Nicole Le Cren and Brittany Menham added to the lead making it a 3-0 game after the second. The Aussies didn’t relent outshooting Mexico :1. Ayris and Le Cren closed out the game with an Impressive 5-0 victory. All that was left was their familiar for Romania. Romania had yet to win a game, but were not to be taken lightly as Spain were right behind them in the standings. The Australian’s certainly didn’t take them lightly racing out to a 4-0 lead in the first period. The damage done early the Australian team finished the game 10-0. Maddison starred in the affair with goals, the Australian’s showing their depth with a goal each from six different layers; Adams, Smith-Birch, Sammons, Tarasenko, Davis-Tope and Steele. The team is now promoted to Division 1 Group B where they will take on China, Great Britain, Denmark, Poland and France.